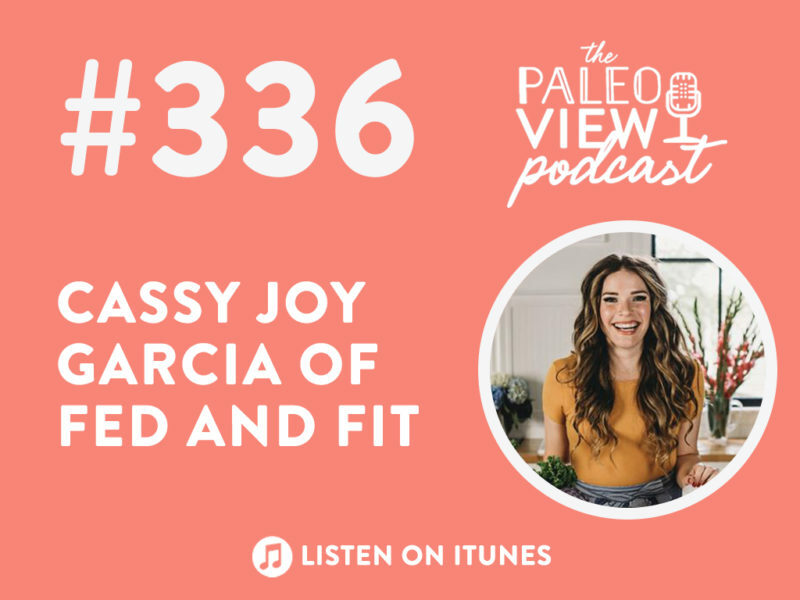 In this episode, Stacy and Sarah welcome special guest, Cassy Joy Garcia of Fed and Fit to talk ditching the diet mentality, tips for staying on track without following a strict program, and how to turn your diet mentality into a sustainable, long term lifestyle! Stacy and Sarah are excited to welcome today’s special guest! May the snort-laughing begin! Stacy and Cassy have been friends for years! Cassy has a guest recipe on RealEverything.com: a paleo gingerbread house! Fun fact: Cassy initially went to school to become an entymologist (someone who studies bugs). Cassy notes we give diets so much power. It can be easy to get sucked up into the negative mentality that eating off plan makes you “bad” or “a failure.” But that’s not true! You’re creating a lifestyle so it’s important to be kind to yourself, move on, and keep going instead of beating yourself up and falling off the wagon. Stacy wonders how we can find the balance between living a healthy, sustainable life and the stress of yoyo-dieting. Cassy says the object of the game is not to eat as few foods as possible. The goal is to heal and eat a variety of foods to get maximize nutrient density. Are you choosing foods for health? Or are you choosing foods based on arbitrary rules and restrictions. 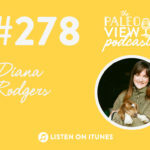 Sarah jumps in highlighting the difference between dieting and lifestyle. Lifestyle: a long term goal where you’re finding balance and sustainability so you can continue this diet and lifestyle for the rest of your life. 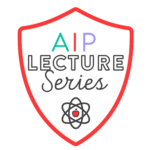 Sarah notices that in the AIP community, because it’s such a restrictive protocol (even though it’s a healing protocol), it can create the “diet mentality” that causes person to be afraid to reintroduce foods. 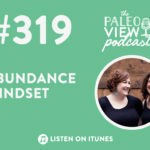 (23:51) How do you stay on track after ditching the ‘diet mentality’? Cassy says it’s about being very strategic with your reintroductions, being thoughtful and careful. When you’re following a plan, it can take some of the scariness out of these transitions. But it’s important to trust the process and trust your coach. Instead of feeling like you failed on a diet, what if the diet failed you? It might not have been the right program for you. 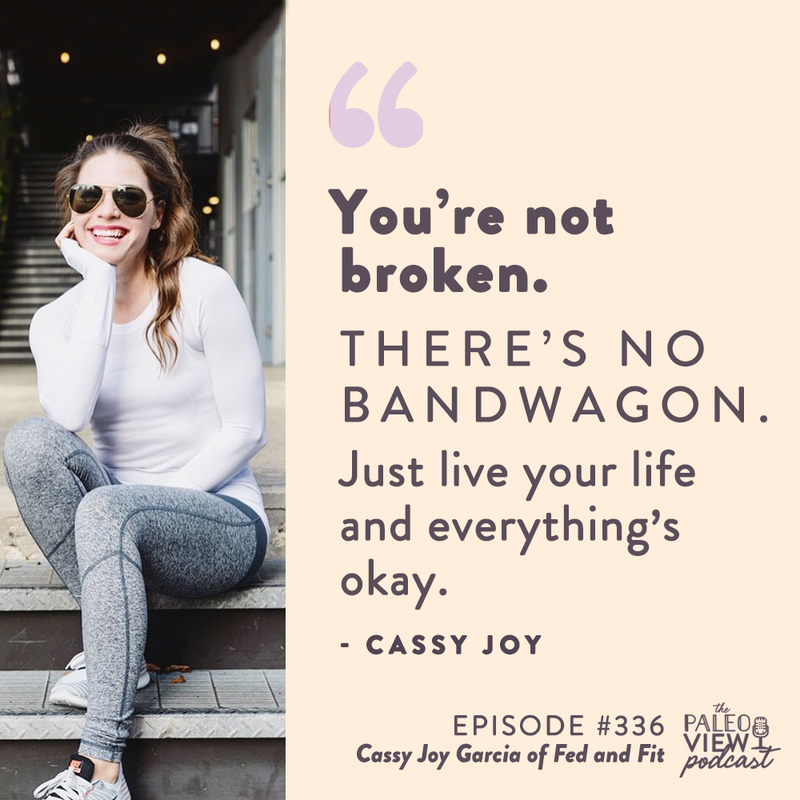 Cassy recommends sticking to the principles of good nutrition, sleep, exercise, and when you choose to indulge, enjoy it and move on the next day instead of beating yourself up. Indulgences don’t have to be a “cheat” they can be part of your plan! Stacy notes when you call something a cheat, you’re assigning a negative emotion to that food. Cassy says once your program is over, don’t feel like you have to abandon all the healthy principles you learned! Pick your favorite healthy practices, tendencies, foods, etc, that you learned from the program and continue them. Meal planning and prep are essential to get your nutrition on track. Check out Cassy’s project, Fed and Fit. Get her first cookbook, Fed and Fit. Pre-order her upcoming cookbook, Cook Once, Eat All Week: 26 Weeks of Gluten-Free, Affordable Meal Prep to Preserve Your Time & Sanity, which will be out April 23rd! 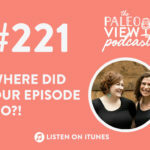 Check out her podcast, Fed and Fit!